LatinaLista — The U.S. Departments of Education and Justice joined forces to release a revised “Dear Colleague Letter” reminding elementary and high school administrators to not prevent undocumented children from enrolling in their schools. The revisions are clarifications to a “Dear Colleague Letter” released in 2011 and make it very clear to administrators that they are under federal obligation to provide an education to undocumented students as well. In prepared remarks, U.S. Attorney General Eric Holder said, “In 2011, the Departments of Justice and Education issued guidance designed to help schools understand their responsibilities under Plyler and federal civil rights law more generally. In the three years since, we have worked with scores of school districts to ensure that they are fulfilling their obligations under both constitutional and federal law. One of those actions taken by some schools is requiring that parents produce a Social Security card for their children, when, in fact, it’s not required and parents must be told that it’s a voluntary action. Another area where some administrators discriminated against undocumented families was not recognizing some forms of identification from the parents’ home country. 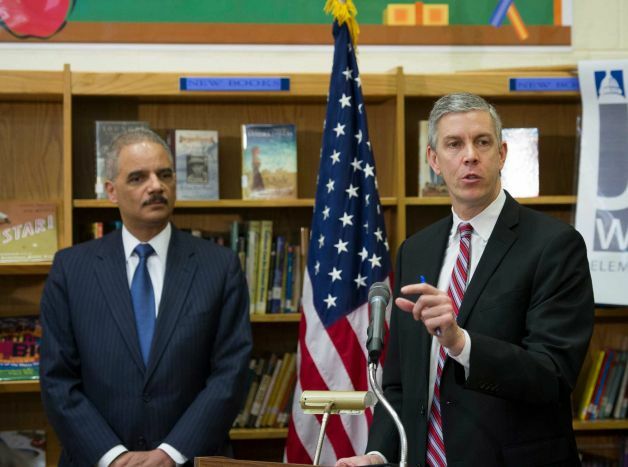 In the release today, which also included a fact sheet for administrators and a Q&A sheet answering the most common questions, both Attorney General Eric Holder and Secretary of Education Arne Duncan made it clear that school administrators who obstructed the enrollment of undocumented students would be found in violation of federal law.